Build a home with extremely granular selections and pricing. Pick everything from backsplash tiles to paint colors. Build more than just optional room extensions and packages to maximize your profit. 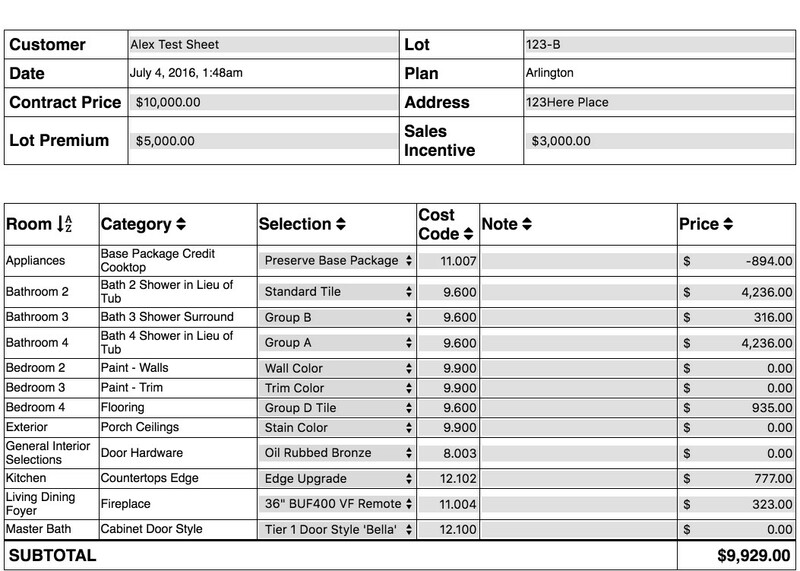 Then print, export, and download package selections to give to your clients and contractors. Upload your floorplans and options in one spot and let the Selection Sheet application do the rest. From there, your floorplans and all options are available. Organize your options into Scopes and Areas to make it even easier to go through the process. 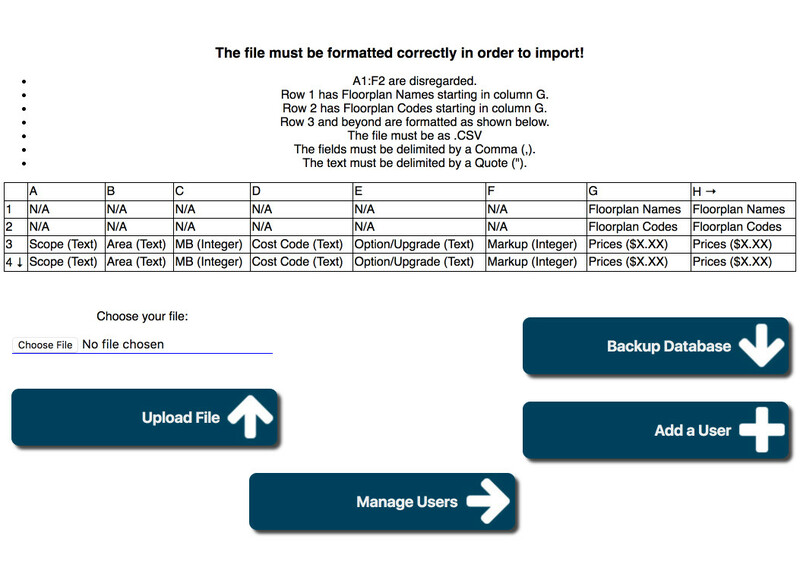 Automatic backups and user management is built in for convenience. Easy remote access. Simply log on in the office or while touring a home with a client. Upload your selection options and floorplans in a simplified format for easy maintenance and additional options. Generate contracts from your selection sheets and turn a dream home into reality. Keeping track of all revisions, simple reverting to old revisions built in. Mistakes shouldn’t cost you time. Archive old sheets for easy access later. Look back and search any time. Built in draft saving to make selections before clients are ready to make a final decision. Built in user management and unlimited users. Keep your work flow going. Alert administrators whenever a change order is submitted. Make changes to finalized sheets and submit change orders any time. Build better homes and make the selection process simpler.